Enjoy the privacy of your own luxury retreat. A dreamy romantic escape, just metres from the lakes edge. Experience glorious sunsets and enjoy the magnificent 180 degree water views. Luxurious privacy in tranquil surrounds, somewhere beautiful to relax and unwind. Hideaway Cottage is a delightful, modern, cosy cottage in a superb waterfront location, an easy 90 minute drive north of Sydney. 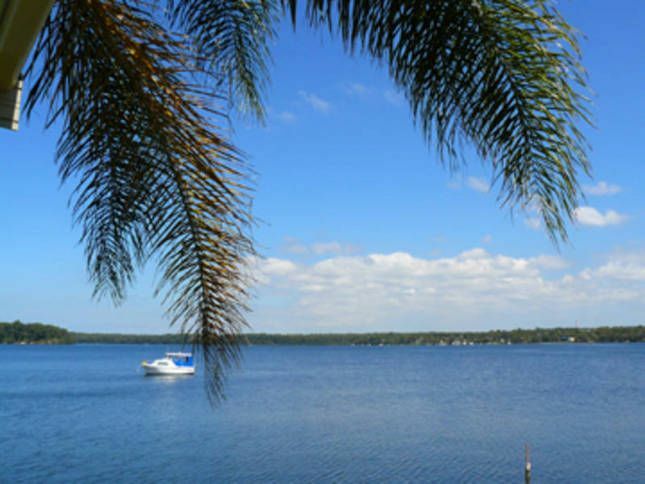 Enjoy watersports on Lake Macquarie, or take a short drive to our beautiful pristine local beaches. To welcome you to Hideaway by the Lake, we hope you will enjoy chilled champagne to greet you. To make your stay with us as stress free as possible, we take pleasure in supplying all your linen requirements. We also provide kayaks + life vests for use during your stay with us. Choose from the many casual or fine dining options, in the Lake Macquarie, Central Coast and Newcastle areas. Early arrival and late check-out may be requested, subject to availability. Bed has mattress protectors, pillow protectors and comforter. Thank you so much for letting your cottage to us . We had the most relaxing time & it was so comfortable . The view was stunning . I will be making this a monthly getaway . The cottage was clean, cozy and comfortable. It has a 180 degree view of the lake. You can literally watch the sun set from the deck area. Location is five star. Perhaps owner needs to edit listing. As no champagne, no tissues napkins papertowels or hand soap I had to go buy these items. BBQ not cleaned and unusable and nothing to clean it with. Communication prior to arrival needs improvement like a welcome email with details of the arrival access etc.... More towels would have been useful as we shared a face washer and hand towel over two bathrooms. ( we are not a couple ) Spa is wonderful. The beds are extremely soft. Overall the location makes this place amazing. Very relaxing. DVD library not available either. Nice tranquil location. But didn't receive any correspondence from landowner or Stayz regarding details of property before our arrival. Money was taken very quickly with increased rate after we notified there are two adults with three kids staying. House arrangement is for that number of people so don't understand why the extra charge. No napkins, no box tissues, no toiletries, no hair dryer, insufficient blanket for cold winter weather, cockroach in room. Very basic accommodation. Bring everything yourself. We felt very unwelcomed. Our stay at The Cottage was absolutely perfect. We had everything that we needed, and the place was clean and tidy. The view was gorgeous and we didn't want to leave! Loved it, will definitely return.